A prime residential project by London interior designer Daniel Hopwood. The owner of this Hyde Park home enjoys great success in the entertainment world, and is known for both their exuberance on stage and the intelligence and sophistication that sits behind it. 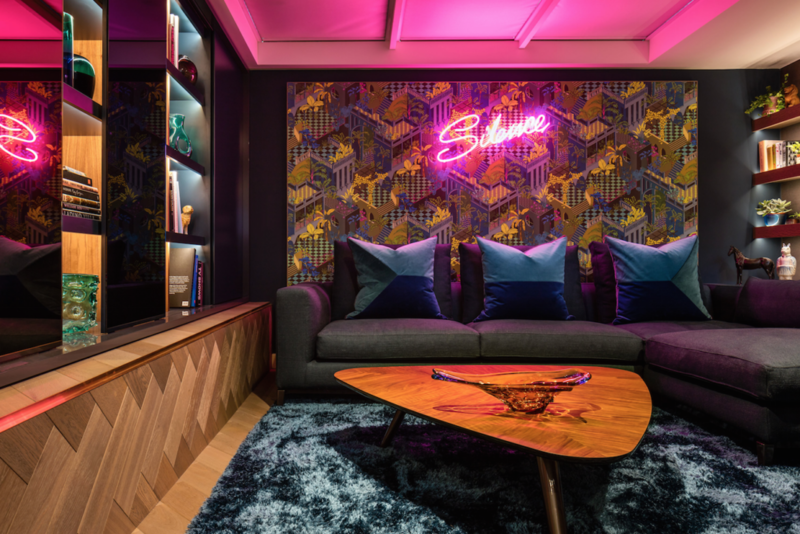 The design is a reflection of their personality in the home and Daniel blended both these elements to create a home that Elle Decoration described as “high octane”. However, this is no wow factor palace. The living room features the Minotti Seymour sofa complemented by the Jensen armchair, and Catlin and Kitaj side tables with the Andersen sofa and Sullivan coffee table taking centre stage in the script reading room.